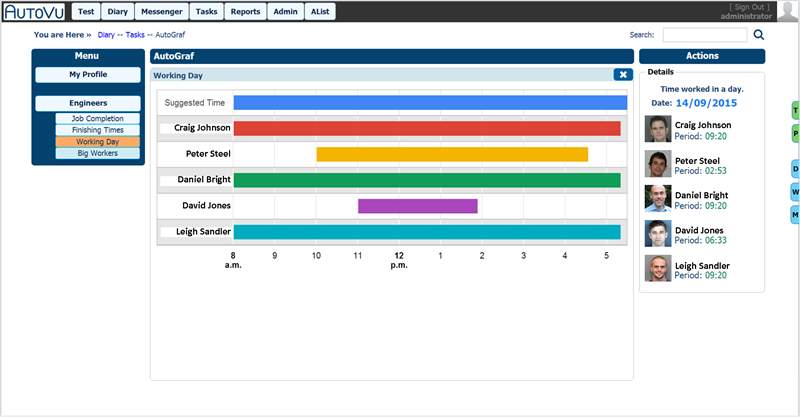 The data that you input throughout AutoVu is used to drive our charts and graphical dashboards. Utilising powerful algorithms, we can represent your data in a way that really brings the information forward, visually and with impact. 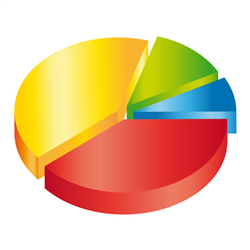 There are a number of pre-defined charts and graphical dashboards already defined, we are constantly adding to the list on a regular basis! 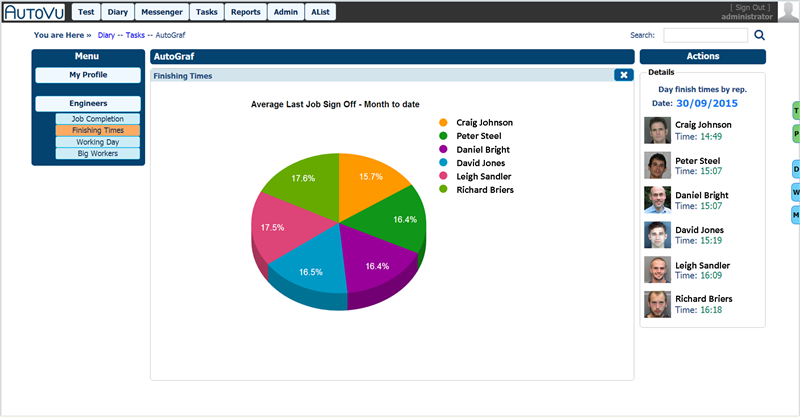 Many of the dashboards in use on AutoVu are through direct response to our customers requirements. So if you think there may be a need for a new dashboard, go ahead and tell us. If it's possible, we often have these up and running within a few days. How's that for good service! 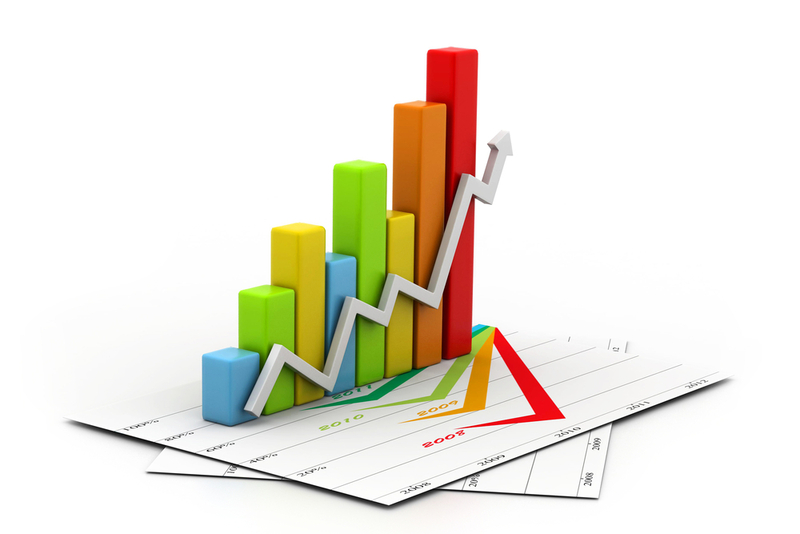 Practically any data can be turned in to a great looking chart or graphic, some graphics are easily produced whereas others may take us a little time working out the metrics needed, and what it is that makes the graphic useful. We have included a few examples below that revolve around the Field Service Management module. 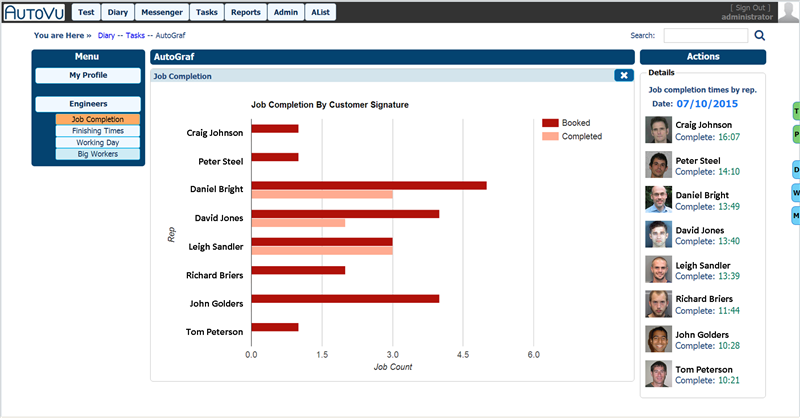 For the most part, we really do rely on our customers to define what they need from a dashboard and respond accordingly. You can of course customise these with filters and date ranges etc. You can share with colleagues or simply print them out. One thing is for certain, AutoGraf will certainly highlight a few points that maybe worth looking at. Working Day - Who puts in the Hours?